His Royal Purpleness, my beloved Prince, wrote Manic Monday for The Bangles, so it’s only fitting that I wear a purple polish in my first Mani Monday post n’est pas? Yes tenuous link but let’s swiftly move on. This ornamental cabbage was my single favourite flower last year. It lasted for months and the petals changed from this bright magenta purple to a pale greyish lilac. Nature’s colours are really breathtaking beautiful. 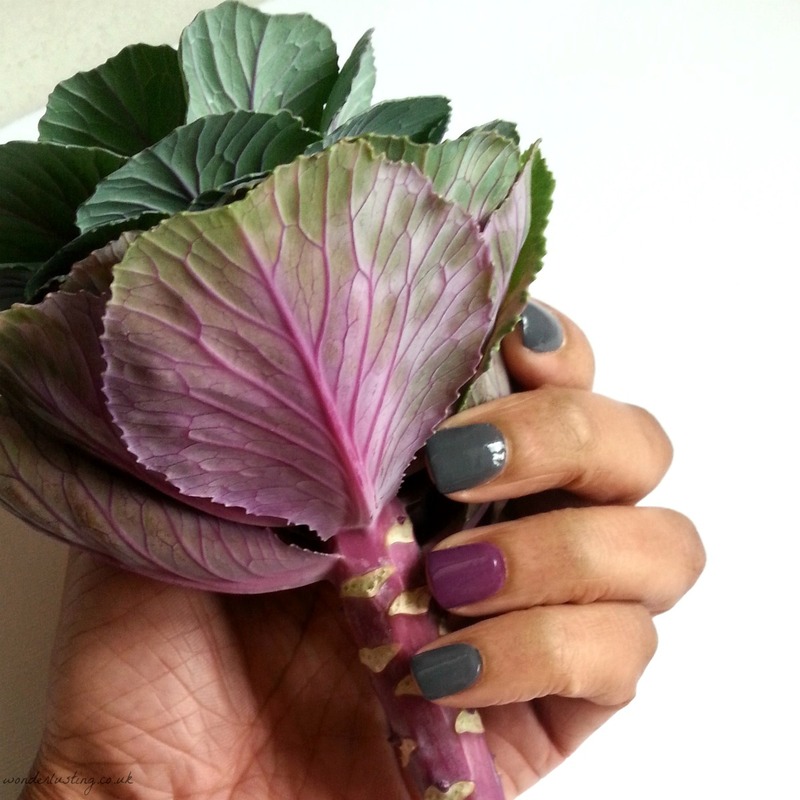 Anyway this HJ Manicure nail polish called Purple Paradise matched the petals/leaves so I loved it. 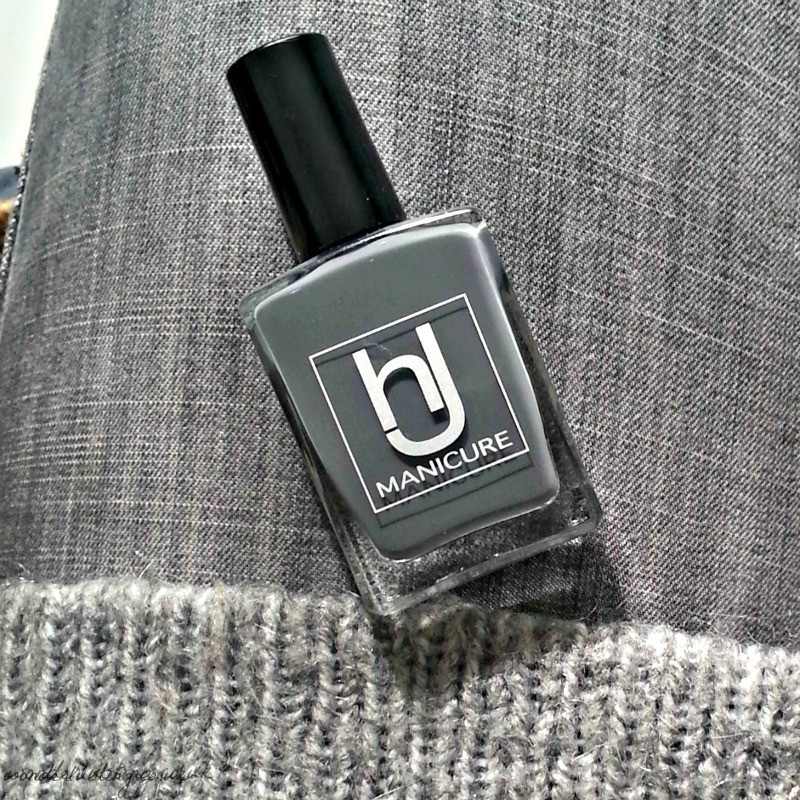 Grey is my winter neutral. I pretty much live in 50 shades of grey. 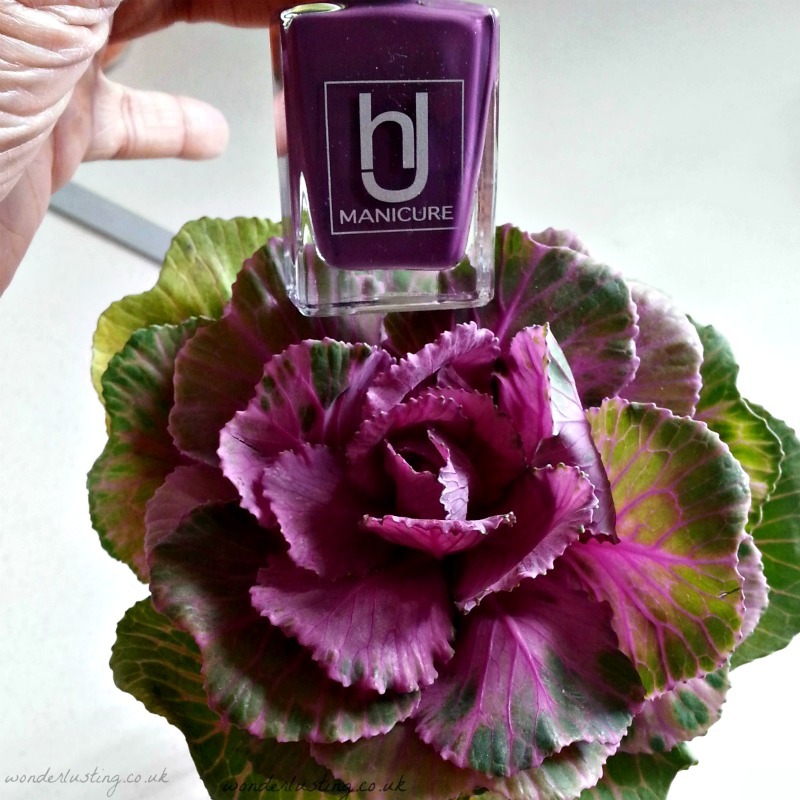 You can read more about the 5-free HJ Manicure nail polish range here.